1. 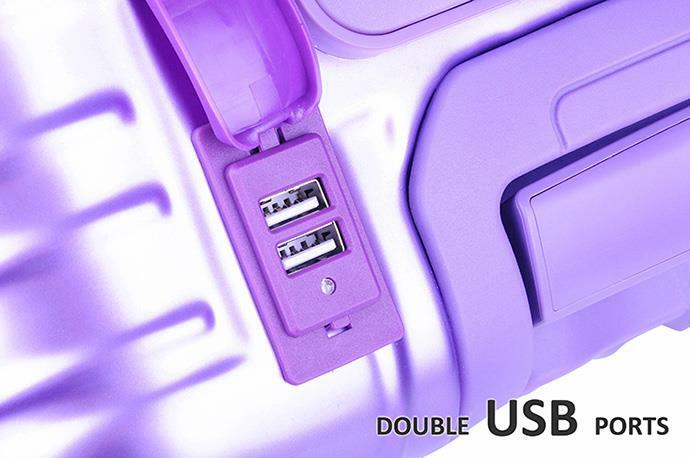 Futuristic design makes your whole style shine and easily noticed on carousel. 2. 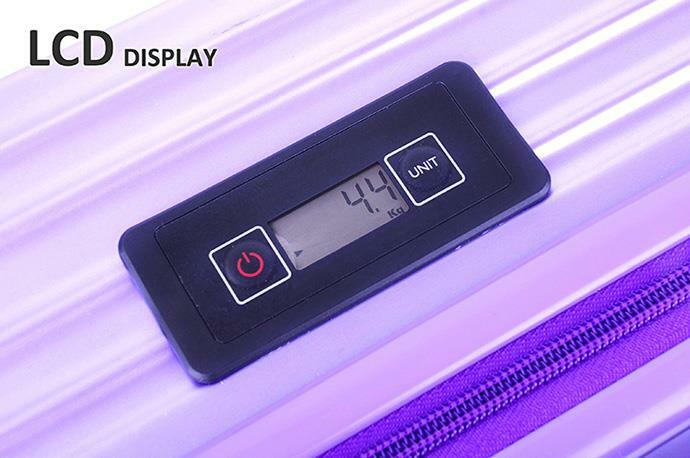 Interior divider made of flexible mesh fabric is designed to help create a separate compartment inside your suitcase for added organization and security. 3. 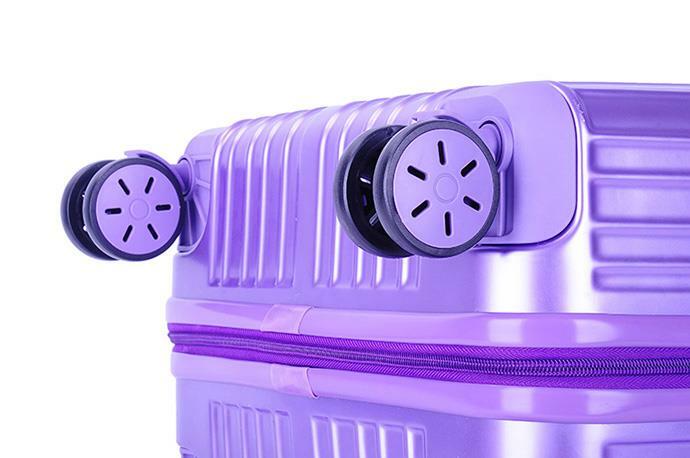 Spinner wheels: allowing 360 degree upright rolling in multiple directions, mute PP material, effortless mobility so that you won’t feel the case in hand. 1. SGS and REACH have been granted to us for quality guarantee. 2. 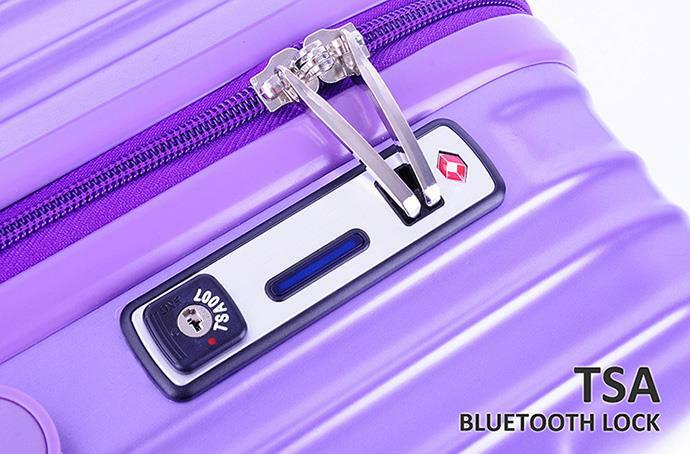 Leading luggage manufacturer combines Bluetooth TSA Lock, Weight Scale Handle, Anti-lost Tracker on one single luggage. 3. R&D team is able to fulfill your unique design as your requirement. 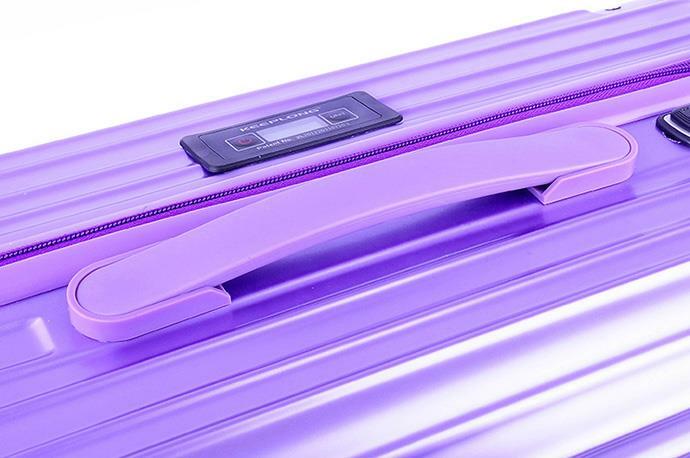 Innovation luggage suitcase, smart life, smart suitcase, colorful luggage! Welcome to contact us, concentrated team for you.